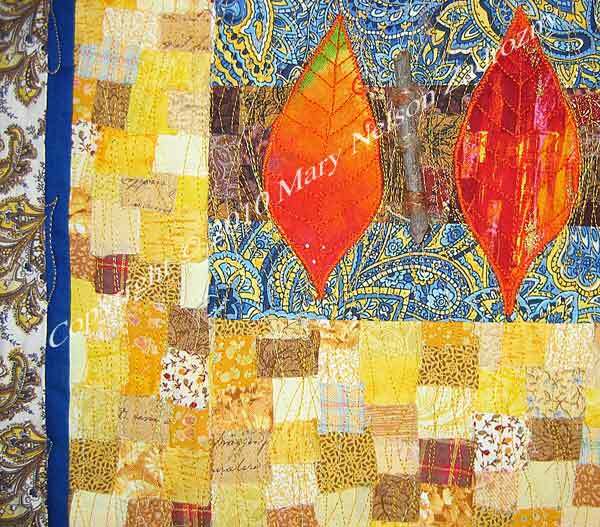 Quilt Description: The colors of the autumn season this past fall were more brilliant than ever and this quilt was inspired by leaves from a tree outside our window. 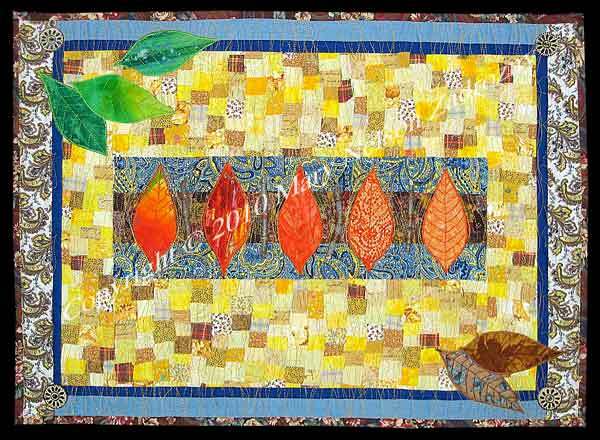 Second quilt in a series trying to capture the beauty of the season. Materials: Cotton fabrics, embellished with wood buttons, twigs. Techniques: Machine Pieced, Appliqued and Machine Quilted. All embellishments were attached by hand.